Margaret Hills was crippled as a young woman, but was determined not to let it hold her back. When orthodox treatment could do nothing for her, she used her nurse's training to develop her simple, natural treatment, which, against all her doctor's predictions, was completely successful. Since then, her 'acid-free' approach has brought relief to thousands. Her daughter, Christine Horner, who now runs the Margaret Hills Clinic, continues her work. Here they share their unique drug-free method and inspire others with Margaret's hope and determination. This new and fully revised edition offers updated information about diet and reveals the effects of the new arthritis drugs. 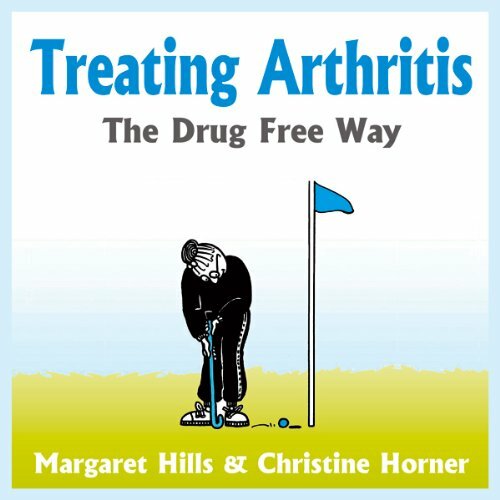 This book offers a really good look at the treatment of arthritis, the natural way. Includes a lot of great recipes, recommendations on nutritional supplementation, and basic everyday methods to alleviate pain of arthritis. I thought this book was excellent, and I downloaded it onto my computer for future references from time to time. As an athlete throughout most of my adult life, I feel like I'm in pretty good tune with the way my body feels and performs on a daily basis. I've already been implementing most of the suggestions from this book throughout the years, so this book gives me even further confidence that I'm doing the right thing. So far, so good! I highly recommend this book, not only for high-performing athletes, but for everyday living just as well! My Gran doesn't see to well anymore. However, she was always a keen reader. For her birthday we bought her an MP3 player and some titles off of audible. She thought this one was fantastic, as a former nurse, she said it was remarkable, enlightening and truly life changing to an awful lot of people. She suffers from Arthritis and we have seen a remarkable change in her habits as she takes the information from this book on board. Finally a book that explains Arthritis using easy to understand language. My elderly mother said that she finds this book invaluable and thats enough for me to rate this book highly. Apparently this book sold very well as a physical bound book because of the simple language, easy steps and empathetic perspective of the authors. I would argue that this audio version should do even better - surely this is exactly the sort of subject matter that audio books were invented for.